The school year is here and the travel season has come to a close, but that just means that the high school basketball season is right around the corner. Wisconsin has a number of prospects this year that are getting some good looks from colleges and will have opportunities to extend their basketball careers at the next level. 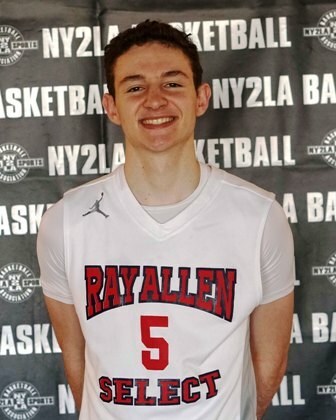 One of the state’s top guards is still undecided as to where he will continue that career or at what level, but he is excited for some of the opportunities ahead of him with both in leading his high school team and in pursuing his individual goals. That guard is class of 2019 Brookfield Central point guard Cole Nau. Nau is a tough competitor who plays smooth and just seems to get the job done in ways that aren’t always flashy, but typically so solid. He can shoot the ball from the outside, he has a mid-range jumper in his repertoire and can finish at the basket where he takes his opportunities to glide past defenders often and rarely seems to miss when he’s at the hoop with any space. However, because of his steady play and the fact that he’s almost always under control and calm, some aspects of his game seem to get underrated. To this point, Nau has received a few offers from schools now, and has been in contact with others both at the Division I and Division II levels. He has offers currently from Air Force, Hillsdale and Saint Cloud State. Also showing interest have been the likes of Holy Cross and Wright State. Nau also has looks from Holy Cross, Wright State and UW-Milwaukee, all of which are still in the picture and whom he will keep in contact with or take visits with this year. He also has interest from Division II schools such as Minnesota-Duluth and Michigan Tech. The future is bright for Nau with a likely exciting high school season ahead of him with one last potential run to a title. Beyond that, the recruitment process will wind down and Nau will make his decision at some point when he’s ready. Be sure though that the Brookfield, WI prospect is primed to put a team at the next level in good hands from the point-spot behind his steady and intelligent playing style.